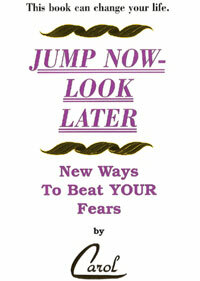 Success Now - Carol Pierce, Author / Success Coach / Motivational Speaker encouraging you to Jump Now! 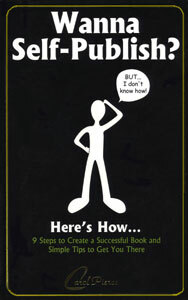 Success Now - Carol Pierce, Author / Success Coach encouraging you to Jump Now! • You can have anything you REALLY want!!!! Quick thinking and sincere passion allow Carol Pierce to fill in at the last minute for a speaker and cause talk show hosts to keep asking her back. Thirty minute live call-in shows extend to an hour and a half because of her lively discussions. Whether wading through knee deep water to present an executive retreat at a state park or keynoting an awards ceremony where the previous year’s speaker was the former surgeon general of the United States, this proud Louisiana Cajun readily adapts to your venue. Over 20 years experience as an entrepreneur . . . a deep passion for wise economic development . . . a graduate of several key leadership programs, including Leadership Louisiana and Year 1 of the Community Development Institute . . . all contribute to Carol Pierce’s understanding the ever-changing needs of today's business world and the critical importance of diversification and adapting to change. Carol Pierce constantly strives to meet your specific needs in the manner best suited for your organization. You benefit from Carol's flexibility, creativity, and ingenuity as a master teacher with over 30 years of expertise working with students from kindergarten through the university level combined with decades of practical experience in the business world. Truly custom-designed, no two of her Success Now programs are ever exactly alike, regardless of their nature, and qualify for CEU’s. A firm believer in life-long learning, Carol Pierce holds a Masters degree in Education with over 30 post graduate hours of formal study and countless hours of continuous professional education. 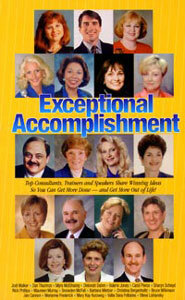 Carol's honors include being named to Who's Who of American Women and twice selected to Who's Who Among America's Teachers . . . but, more importantly, she's the 73 year old grandmother of nine who practices what she preaches each time she pulls up the faith and courage to make her own jump now! Why wait any longer? Book Carol Pierce for your next program.